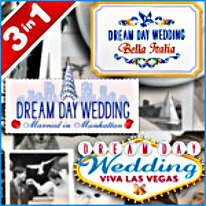 Plan nuptials from start to finish in New York, Las Vegas, and Italy! Travel the world to scout locations, select the flowers, dresses, and jewelry, and avoid ceremony crises! Enjoy hundreds of levels with at least 40 hidden objects in each!